I hope you are all enjoying your summer so far. Here in the Northeast we are in the middle of a heatwave. For me it has been wonderful! I love hot weather and it has been in the high 80’s. I wait all year to bask in the warmth of July. Bob and I are slowly coming out of vacation mode. It’s been tough. We really had a nice relaxing time in Myrtle Beach, South Carolina; spending days on the beach and nights eating southern cuisine. I have a few southern favorites and you know from my last post that “She Crab Soup” is one of them. I hope some of you tried the recipe for the soup. 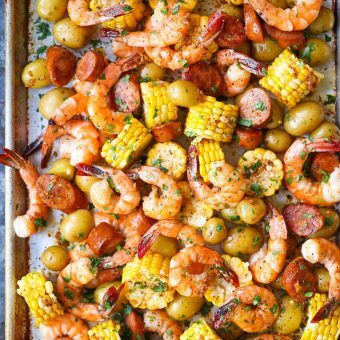 Basically it is a combination of shrimp, smokey sausage, sweet corn, onions and new potatoes boiled all together with seafood seasonings. The shrimp boil we had on vacation also included some clams so I am going to add clams to my shrimp boil. You can really add any other seafood that you and your family enjoy. 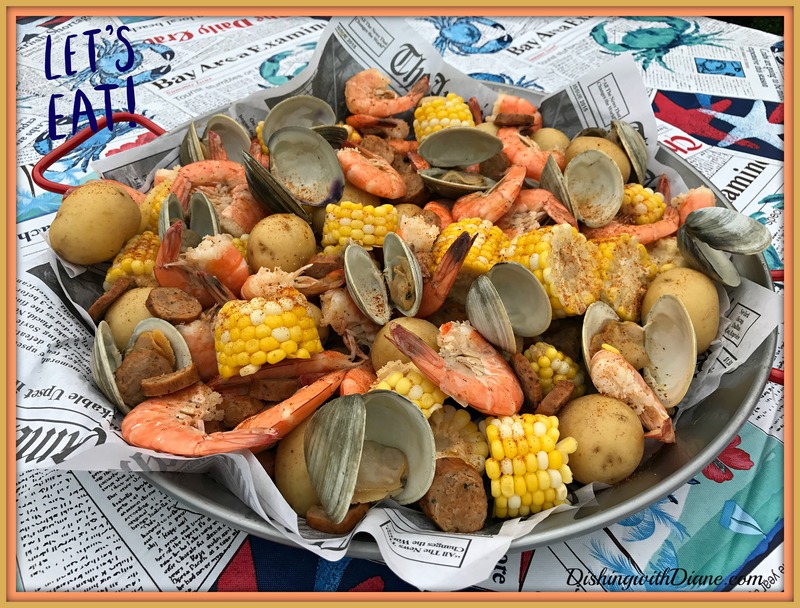 Some shrimp boil recipes added crabs & crawfish. But the key is to add ingredients in a certain order. The story is that a National Guardsman and shrimper named Richard Gay invented the dish in the 1960s in order to feed 100 soldiers during a National Guard exercise and he needed to stretch the shrimp since it was a more expensive ingredient. He named the dish after his hometown of Frogmore, South Carolina, a community on St. Helena Island. 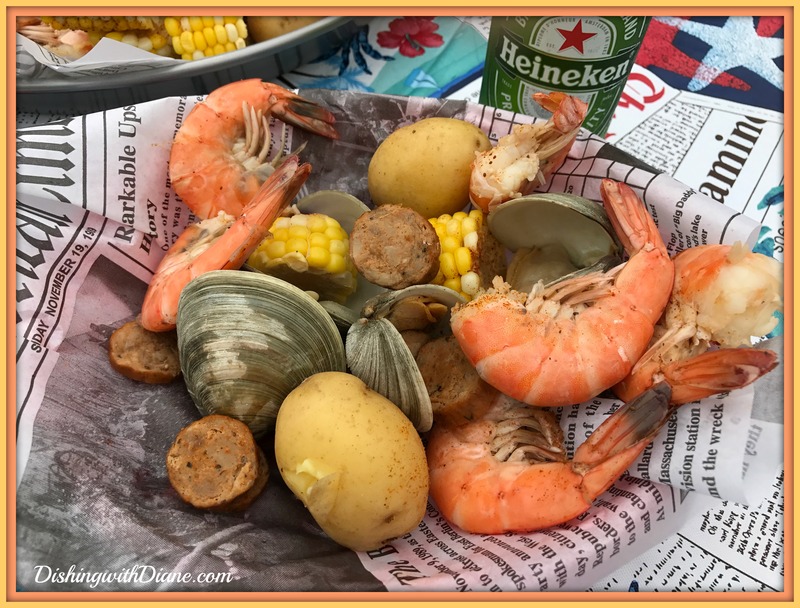 Think of it as the equivalent of a New England clam bake in the Northeast. So I took out my 12 qt. stockpot, bought all of my ingredients and set out to make my very own Low Country Shrimp Boil. I know the traditional way to serve this dish is drained from the broth and straight out of the pot on a newspaper lined picnic table but I had a different idea. I purchased a vinyl “Shrimp & Crab Boil” tablecloth (I couldn’t help myself, I had to have it) while shopping on Amazon one night and served the food in my paella pan. Loved the tablecloth because it gives the appearance of the newspaper lined picnic table. I also took out my red plastic fast food baskets I use for the beach, for individual shrimp boil servings; but this time I paired them with a new purchase. I bought newspaper designed food liners. I love the look when restaurants serve french fries in newspaper, and I was so happy to find the liners. I came across the liners another night while shopping on Amazon and originally bought them to go along with the french fry serving baskets that you saw in the 4th of July post. Now they came in handy and were perfect with the shrimp boil. Serve this meal with ice cold beverages; either beer, lemonade or sweet tea. Now if I only had a peach cobbler or hand pie for dessert, it would complete my southern meal. I have to work on a recipe for that. I looked through a lot of recipes and the recipe I liked the best was from Epicurious Magazine, so here it is. Give it a try and start out with a 12 qt. stockpot. This recipe serves 10, so adjust your ingredients accordingly to how many guests you are serving. Enjoy! Fill stockpot with 6 qt. water (if using 2 pots, divide ingredients and water between them). Add lemons, bay leaves, salt, peppercorns, and 1/2 cup seasoning, cover, and bring to a rolling boil. Add potatoes, return to a boil, and cook 7 minutes. Add sausage and onions, return to a boil, and cook 5 minutes. Add corn, return to a boil, and cook until corn is cooked and potatoes are tender when pierced with a knife, about 5 minutes more. Add shrimp and cook (no need to return to a boil), stirring gently, until shrimp turn pink, about 3 minutes. 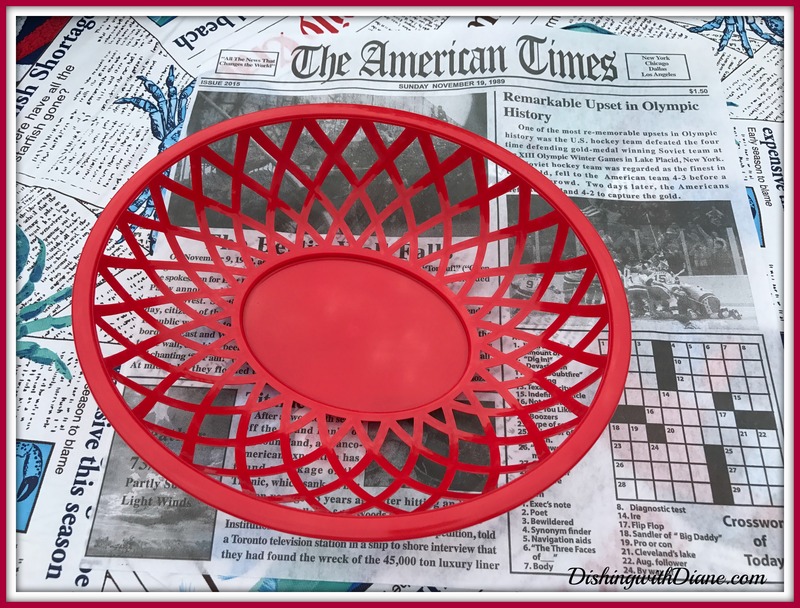 Remove insert or drain through a very large colander. Stir ketchup, horseradish, Worcestershire, lemon juice, and hot sauce, if using, in a medium bowl. Melt butter in a small saucepan over medium-high heat. Transfer to a medium bowl and stir in lemon juice and hot sauce, if using. Taste and add more lemon juice, if needed. Cover and let sit in a warm place. 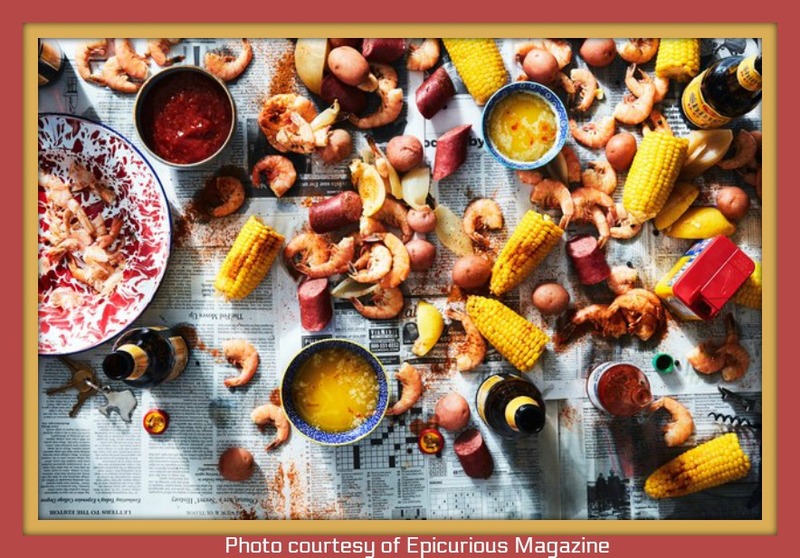 Serve shrimp boil on a newspaper-lined table or large platters. Dust with additional Old Bay, if using. Serve with sauces alongside, if desired. Cocktail sauce can be made 1 week ahead. Transfer to an airtight container and chill. Use 3/4 cup Old Bay for a more richly seasoned boil. Choose Zatarain’s Crawfish, Shrimp, and Crab Boil for a spicier, Louisiana-style boil. If you can’t find small new potatoes, cut larger potatoes into 1 1/2″ chunks. Artichokes are a great addition to this mix when available. Halve the artichokes and scrape out the choke with a spoon and add them with the potatoes. Make sure they are tender and the leaves pull away easily before adding the shrimp. 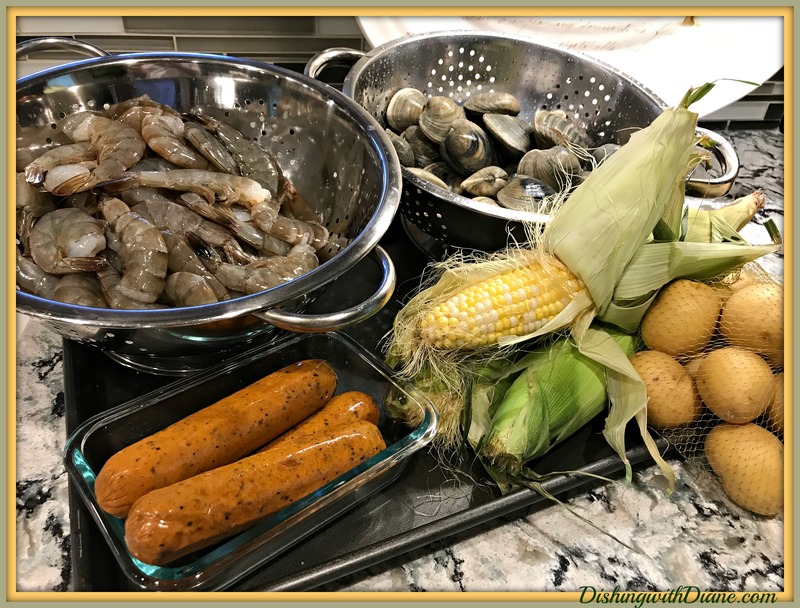 I came across another recipe on the website “Damn Delicious” for a sheet pan shrimp boil, so here is that recipe too. I hope you give either one of these recipes a try. This entry was posted in Seafood on July 23, 2017 by aries041158. Diane, This looks and sounds delicious ~ I do have one question though. . . If you cook the shrimp before deveining. . . Do you devein before eating after cooked? Thank you for sharing yet another lovely dish! 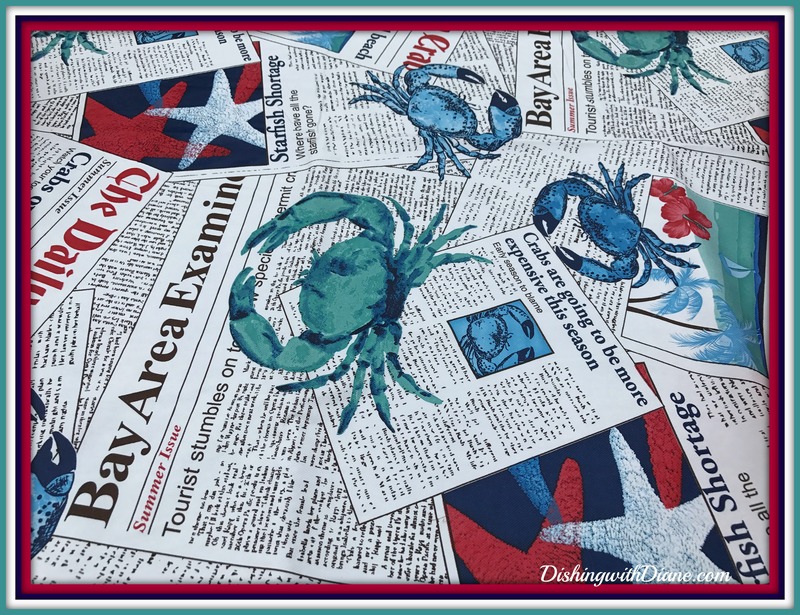 Love the tablecloth and newspaper liners! Thank you Donna, they really came in handy. You can even use them to wrap a sandwich if you’re headed to the beach. Any plans to try the recipe? Stay well.